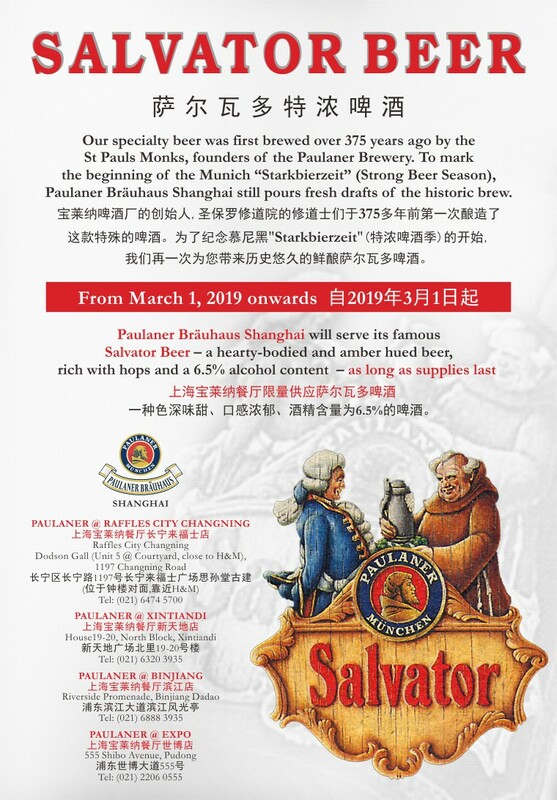 Starting from March 1st, you can enjoy our Paulaner Salvator Beer in our four Paulaner Shanghai restaurants. We will delight your taste buds with the tasteful and rich beer with an intense malty aroma. A few refinements have been made over the years to achieve its chestnut brown hue and caramel-colored head of foam. The Salvator Bock Beer is the original founding beer of Paulaner. The first brew was done in 1634 by the Paulaner monks in Munich. This strong beer should help the monks through the difficulties of Lent in anticipation of Easter. It was considered as “liquid bread”, since it is extremely nutritious and strengthens the health during the fasting period. Originally brewed for their own consumption, they started to sell it to increase their monastery budget. Paulaner’s Salvator Beer was the first strong beer ever brewed, and today, Paulaner is still the only brewery in the world that is licensed to brew it. Like the other beers of Paulaner, it is brewed according to the 1516 German Law of Purity, a strict brewing guideline that is considered one of the oldest food preparation laws in the world. 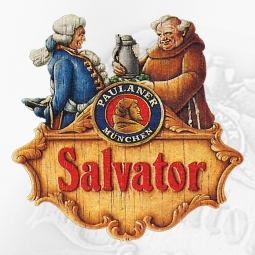 Share the post "Salvator Beer"